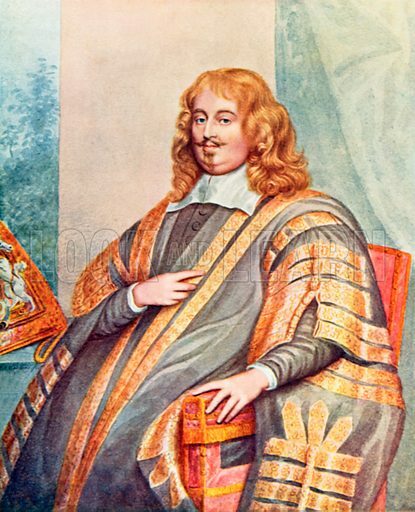 Edward Hyde, Earl of Clarendon. Illustration from Parliament Past and Present by Arnold Wright and Philip Smith (Hutchinson, c 1900). Available worldwide for immediate download up to 3,602 x 4,442 pixels.